At DSM we pride ourselves for our one-on-one attention and dedication that help you get all the pieces and parts organized. From a brand new site to a redesigned one. From a corporate logo to business cards and brochures. Or a database application that automates your business processes and can integrate with your site. 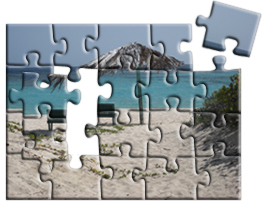 We can help you fit the pieces of the puzzle together. Our success is measured on the positive results we achieve for our clients. So Contact us to find out what we can do for you. We'd love to hear from you! "The key to a successful Web site is great design, ease of use and behind the scenes functionality not just for the end user but for the high quality customer satisfaction that we strive to achieve for each and every one of our customers."